Tijuana, too, has its pilgrimage to their most beloved church: the Cathedral of Our Lady Guadalupe. Located in the heart of downtown, the building is considered a historic site and is Tijuana’s second church, built in 1902. According to T.C. 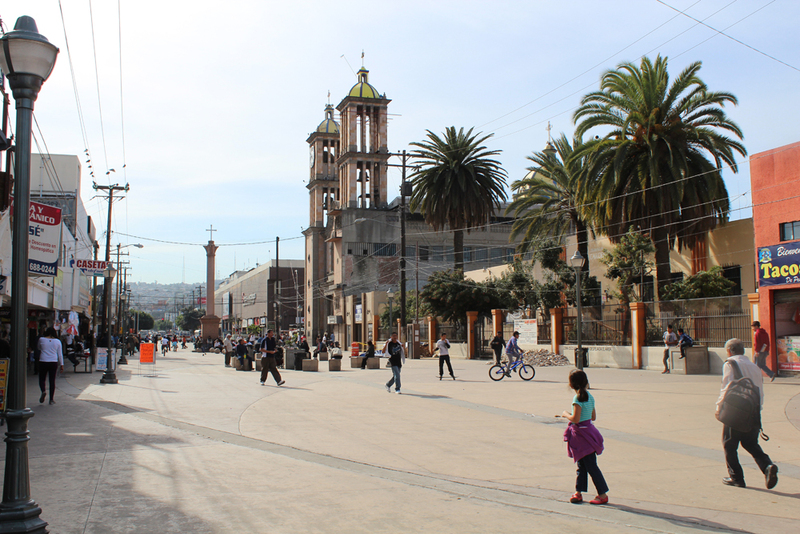 Proffitt in Tijuana: The History of a Mexican Metropolis, the original church burned down during the 1911 Magonista insurrection, but then was rebuilt in the 1920s. Remodeled and enlarged over the decades, by 1948, the Church of Our Lady of Guadalupe achieved Cathedral status. In years past, people have gathered in Miguel Hidalgo market and marched on foot or in decorated trucks toward the cathedral. Fireworks will fill the sky. A mass honors the Virgin. Often little boys dress like Juan Diego and girls wear traditional costumes. How did Catholicism take root so effectively with indigenous peoples in Mexico? The answer may actually go all the way back to Roman times on the European continent. The Roman Empire–which at one time spanned throughout most of the European continent as well as the Middle East–was a pagan society. As the saying goes, there were as many gods as there were people. When Emperor Constantine demanded that his empires people convert to Christianity in the 4th century A.D., the founding fathers of the Catholic Church found the task to be extremely difficult. Pagan traditions had been rooted in local cultures for centuries. The people wanted to continue their worship of Mithras and Serapis, for example. They enjoyed their stories of miracles, their pilgrimages made to shrines and their offerings. 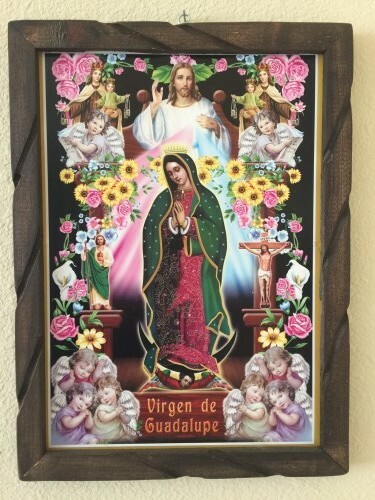 Around downtown Tijuana you can buy images of the Virgin of Guadalupe in numerous shops. Outside the Cathedral, religious vendors also have stands throughout the year. These religious items, too, are fascinating and significant. Eileen Oktavec wrote a book called Answered Prayers: Miracles and Milagros Along the Border, which tracks the tradition of offering milagros to saints, a practice shared by Mexicans, Mexican-Americans, the Tohono O’odham and the Yaquis. Oktavec spent two decades documenting the tradition along the Arizona-Mexico borderlands and in her book she explains that a milagro, which means “miracle” in Spanish, is also an object for which a miracle is sought. Catholics may buy a silver object that looks like a leg in order to hope that a crippled leg may be healed. She has described the many different kinds of milagros collected for Saints Days and the personal experiences of many pilgrims within her book. Pilgrims who come to Tijuana’s Cathedral on December 12th will seek healing from their physical ails and look to the Virgin for comfort. The joyous day of festivities will also be open to everyone. Pair this article with SDFP’s 2012 article “La Virgen de Guadalupe Among Us” by Anna Daniels.